This is a great opportunity to buy the land, building and business (if desired) located right on the northbound highway in Nanton, AB. 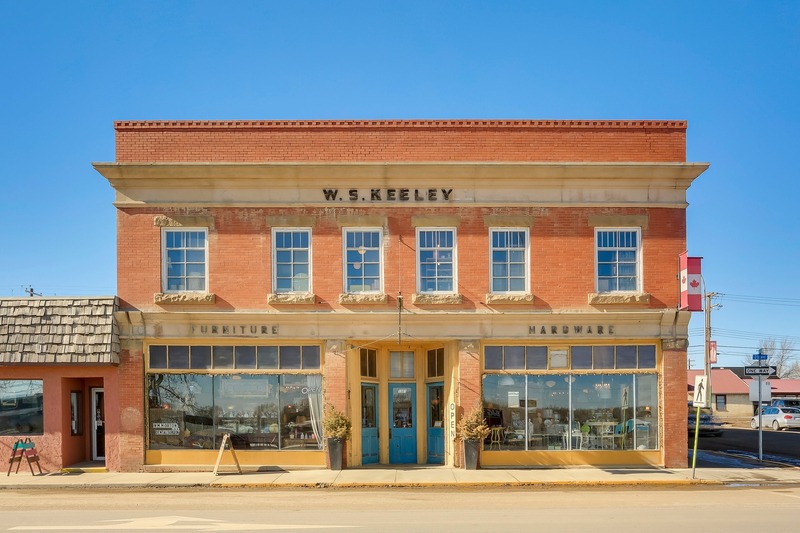 The building was built in 1909 and is one of Nanton’s most celebrated properties. The building has been renovated top to bottom including electrical, plumbing, solar, landscaping and interior. The building presently houses Sentimental Journey antique business which is one of the most recognized antique stores in western Canada. The business can be purchased OR the land and building can be purchased and the space could be used for any other concept, if you don’t wish to buy the business. Total site area is 607.02 Sq. M.
Number of parking stalls: Parking on-street in front of building and along the side of the building.